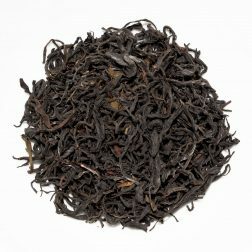 An organic black tea from Northern Thailand. 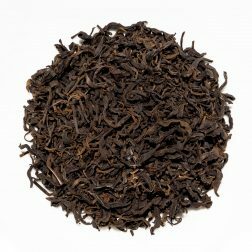 It has a long lasting smooth taste with spicy, peppery, fruity and caramel notes. A fruity, early summer tea from an organic plantation run by the Choi family. The mellow and clean taste is stony, spicy and malty with tangy notes of dried fruits. A unique heritage balhyocha handmade according to a secret recipe, it is mildly fermented and oxidised. It produces a light, tangy liquor with woody, stony, spicy and fruity notes. 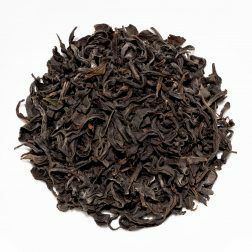 Unusual black tea made from an ancient wild purple leaf varietal. The smooth complex taste is a little malty, tangy and spicy with notes of prunes and wheat. 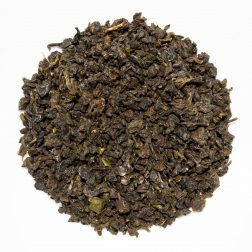 GABA oolong with a cinnamon aroma. The smooth character has notes of raisins, tart fruits, nuts and gingerbread with a long lasting aftertaste. A highly aromatic Yancha from Fujian Province. The mouth-watering liquor has long lasting clean floral notes with a dry, stony and spicy finish. 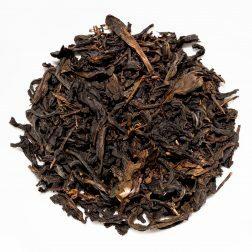 A classic smoked black tea! The taste achieves a fine balance between smoky, spicy flavours and mineral, sweet notes with a tangy and clean aftertaste. 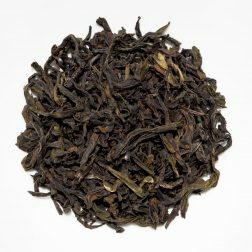 A complex high mountain tea from Taiwan. Multiple roasting produces a fragrant liquor with a smooth and balanced taste and floral, sweet, toasty notes.